Nimia Started with the boxing club as a parent supporting her sons with their activities, and then eventually joined as a member herself. Nimia then saw an opportunity to help out the club by bringing her technical work skills in to the not so technical environment of the boxing club. She has been responsible for: dealing with internet and computer related issues, creating and managing e-mail lists, organizing registration and participant lists, processing of monthly dues and issuing receipts and tracking funds from fundraising events to name just a few. Her organizational skills have helped to the pressure of administrative duties off the coaching staff to allow them to do what they do best. It is not easy to find volunteers to do this type of work with a club because often it is a thankless job. 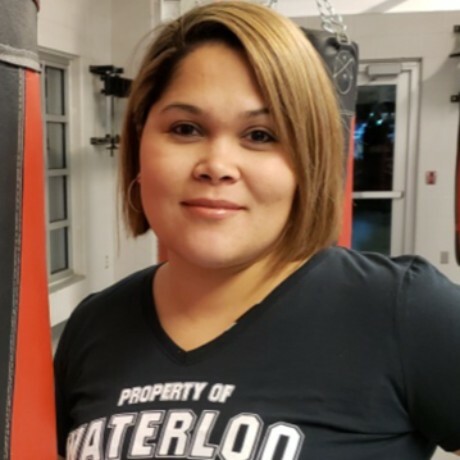 Nimia is now part of the Board of Directors as Waterloo Regional Boxing Academy's Director of Finance.